Sustainability is paramount in the design of this new development of twelve houses. Straiton had no fair rent homes and has no public sewage system. 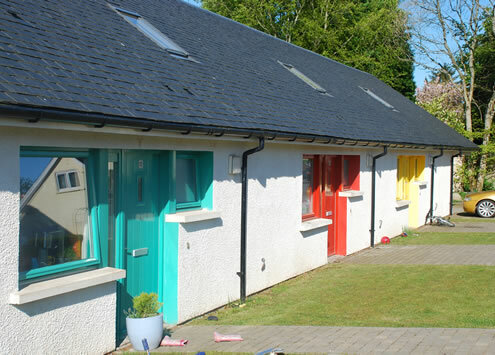 The new houses provide much needed family accommodation for the village helping to maintain local population and services. 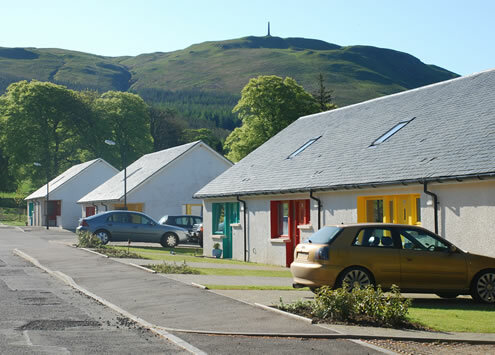 The houses are designed to benefit from solar heating through sun spaces, high levels of insulation and makes use of a reed bed for sewage treatment. 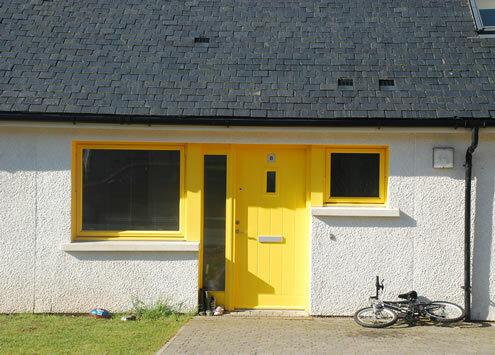 Traditional building forms are enlivened by coloured windows and doors with no two houses exactly the same.